The Center for Environmental Studies offer a Class of 1960 Scholars Program for selected environmental studies concentrators. 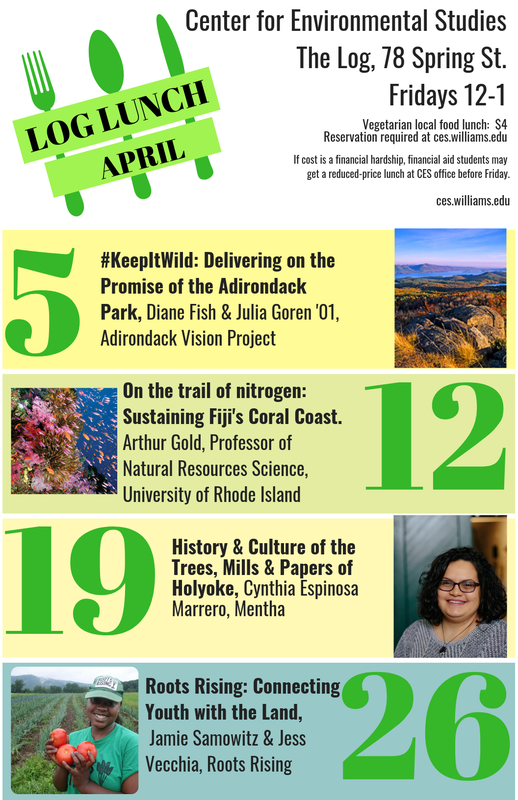 Each year, CES invites four distinguished guests, scholars and practitioners, to campus for a day to enliven our program and to create opportunities for students to expand their understanding of the broad field of environmental studies. Through this program students learn about different areas of study and practice within the discipline, they are exposed to new areas of research and to environmental concerns that are not central to our regular curriculum. The program is designed to maximize contact between the visitor and the student scholars. Each speaker leads a seminar with the small group of student scholars, which is followed by dinner with the scholars, and a public lecture. The Class of 1960 Scholars Program is funded through the Office of the Dean of Faculty.